THE PASSIONATE PRO-LIFER TURNED ABOLITIONIST: Modern day Shadrach? 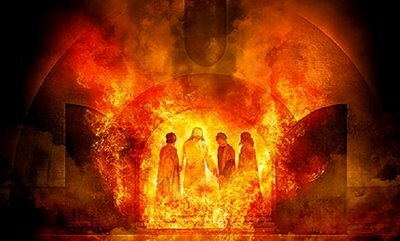 Ever since learning about the plight of Pastor Youcef Nadarkhani, I haven't been able to shake the image of Shadrach, Meshach and Abednego in the fiery furnace. 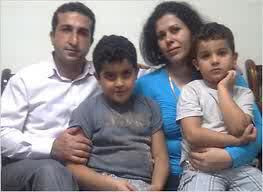 Charged with apostasy for his faith in Jesus, Iran is calling for the execution of this innocent man for rejecting Islam. As the rent a mob is disrupting the normal flow of life in NYC, a young family man faces death, and makes their crazy demands seem beyond petty in contrast to what really matters. Fortunately, social media is raising awareness and over 50,000 are now advocating for the end of Iran's human rights abuse of this courageous Christian and bold American leaders like Marco Rubio are challenging the international bullies in this excellent speech to congress. how strong would any of us be? Youcef is a tremendous example to the world of what true faith is all about ~ may his example spark true revival in Iran and around the world.